The following is by Writers in the Grove member, William Stafford, and was inspired by the prompt, Coming Over the Rise I Saw. That humans could be as compatible as flowers. Flowers do nt seem to care what kind is planted next to them or about their color or fragrance, if any. Some need space of their own but still do not attack their neighbors. Oh that we could share our space in the world as gracefully. The following is inspired by our Prompt-a-Month program. The prompt for this past month was “garden.” This deadline for this month’s prompt, “dance,” is July 31, 2016. This is contributed by our Writers in the Grove member Gretchen Keefer. Allie groaned as she rolled over to shut off the alarm. Through her slitted eyes the gray light of early dawn filtered in. “Why did the alarm go off so early?” she wondered. This was too early for a summer morning. Yet there was something about today…. As she stretched and tried to open her eyes more fully, she heard movement in the kitchen; then the back door closed. “Grandmom.” Allie jumped out of bed. Today was the day she was supposed to help Grandmom take her produce to the farmers’ market. The vegetables had been packed last night, but Grandmom wanted to pick the flowers fresh this morning. Hastily pulling her shorts, shirt and sandals on, Allie hurried out to the garden. 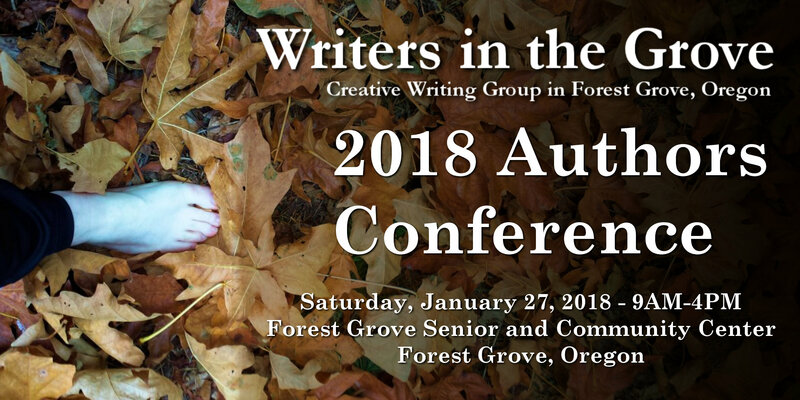 This week’s prompt was based upon a workshop by our sister writer’s group in neighboring Hillsboro, Conversations With Writers. Their most recent workshop featured Maggie Chula, author of Living In The Moment: A Haiku Life and current president of the Tanka Society of America, a haiku association. She spoke about how to capture a moment, mostly in nature or using nature, to tell a story without describing the emotions. Called objective haiku, as opposed to directive haiku that describes emotions, the descriptions emote without the author telling you how to feel. Another key to writing haiku this way is to have a surprise twist or ending. Our prompt inspired by her workshop was to not write in traditional and formal haiku as most of us are not trained to do so, but to use the haiku examples above to emulate haiku. The prompt was to write haiku style in 3 lines beginning with the line Pebbles clatter.